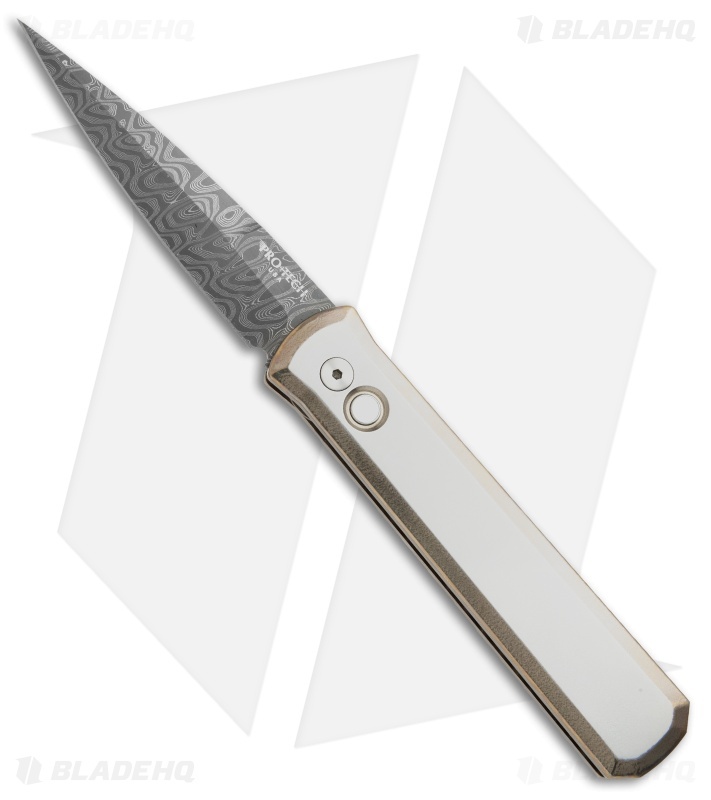 This Godfather Custom has a Chad Nichols stainless Damascus blade. The frame is solid titanium with a one of a kind two-tone hand finish. A matching titanium pocketclip and a mother of pearl push button finish off the design. 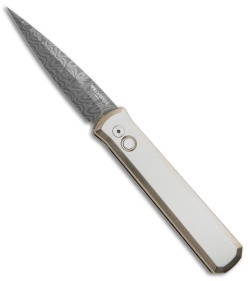 The design of the Protech Godfather automatic was influenced by the original Italian "Stiletto" knives. 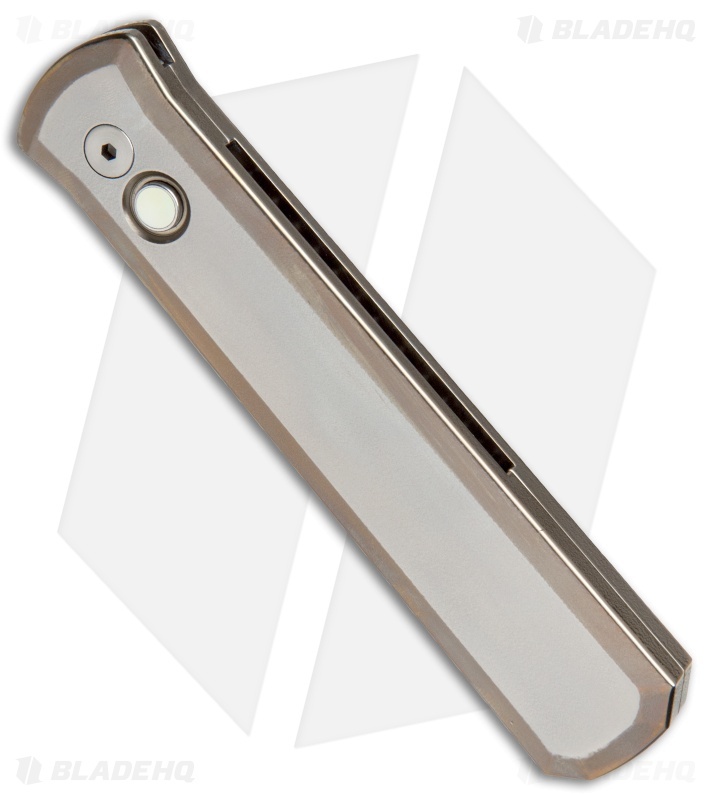 It features Protech's signature bayonet style blade, a slim handle and premium materials. 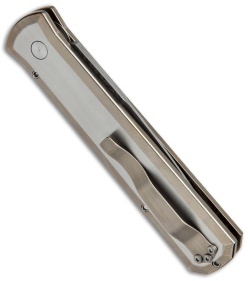 The Godfather utilizes a coil spring for impressive push button action that never grows old. The build, fit and finish of the Godfather is exceptional, something that is true of all Protech knives. The Godfather is offered in a wide range of materials and finishes, click HERE to view all the Godfather knives we have in stock.